I am passionate about sales and providing the best possible service and results to all my clients. I have been in the Real Estate industry for eight years after a long stint in the motor industry which involved selling and wholesaling vehicles as well as sales management. Buying and selling property is one of the most important things you will undertake in your life and negotiating is crucial. My experience over the last 20 years' is invaluable where your property is concerned. I understand that your home is your castle and I guarantee that I will work with you to get the best price possible and make the experience stress free. 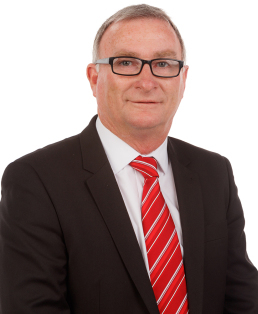 I have lived in Feilding nearly all or my life, and I have an in-depth knowledge of the town and surrounding areas as well as the people and organisations that make the town function. I have a keen interest in all sports playing, coaching, supporting and helping where possible by sponsoring. Contact John Cox today for any of your property needs.